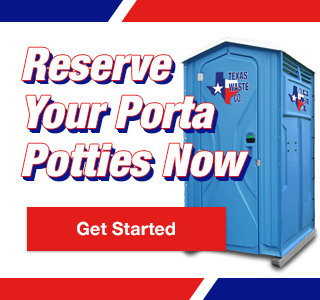 Commercial Construction Porta Potty Rental | Texas Waste Co.
Constructing a commercial building is vastly different and more involved than constructing a home. Commercial buildings are unique and generally require more time and labor to erect, which means construction crews are calling a commercial building site home base for many months before the project is completed. 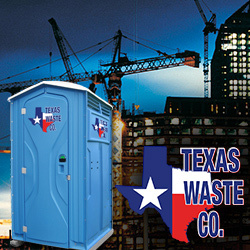 To maintain proper working conditions and provide employees with clean restroom and wash facilities, many commercial construction sites turn to Texas Waste Co.
Because clients, engineers and architects will visit the site to observe progress from time-to-time, you’ll want commercial construction porta potty rentals that are ultra-clean and professional. But construction sites can also be harsh environments that require durable units. Our industrial hand wash stations and restroom trailers cater to both! At Texas Waste Co., we boast having a reputation that meets even the highest expectations and can provide same day delivery along with prompt routine cleaning to ensure that sanitation is always maintained throughout the duration of your construction project.